The Gary Fong Lightsphere Collapsible Inverted Dome Diffuser attaches to the top of your flash head and diffuses the light quickly and easily. While collapsed, slide the Lightsphere onto your flash (while it is detached from the camera) at a 45º angle until the ribs at the bottom of the Lightsphere make secure contact with the flash head. 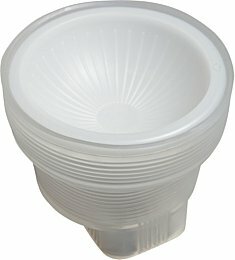 Like an accordion, pull the Lightsphere out until it forms a cup. Finish by attaching the inverted dome top in either direction, depending on how much light spread you want. This simple device softens light quickly and is ideal for events. It is compatible with all standard-sized, pivoting flashguns, such as the Canon Speedlite 600EX-RT Flash or the Nikon SB-910 Speedlight Flash. It is not compatible with little flashes like the Canon 270EX II. • This Lightsphere is the collapsible, soft rubber version. 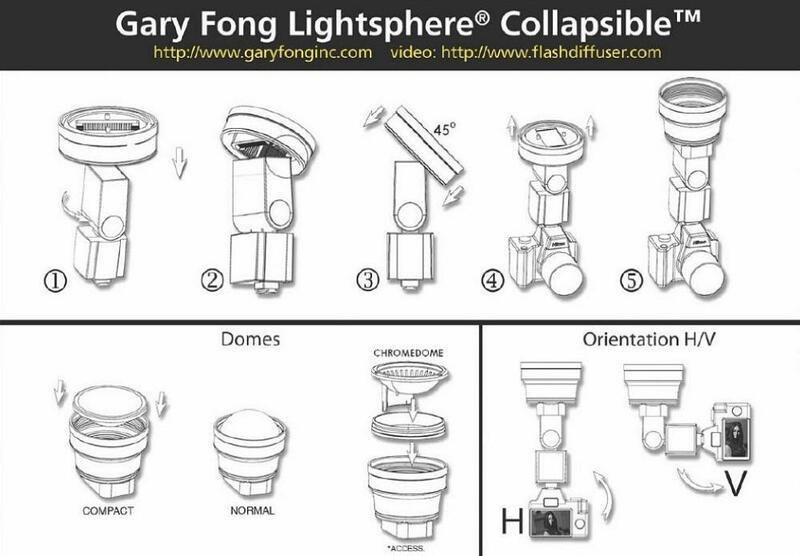 For the non-collapsible, hard plastic version please see the Gary Fong Lightsphere Diffuser Universal. They behave the same way – it is just a matter of personal preference. 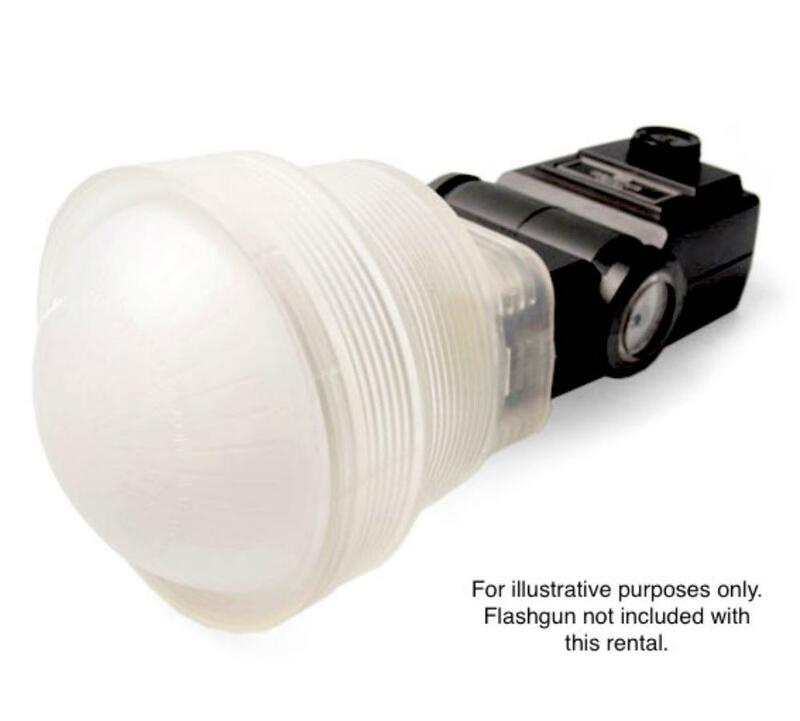 • Compatible with all standard flashguns with pivoting heads. It is not compatible with little flashes like the Canon 270EX II. It will simply fall off. • 3.5 x 5 x 5"